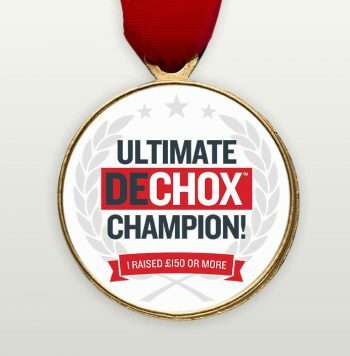 Killer won a three-way pitch to devise a creative campaign and integrated marketing strategy for a brand new mass participation fundraising event. 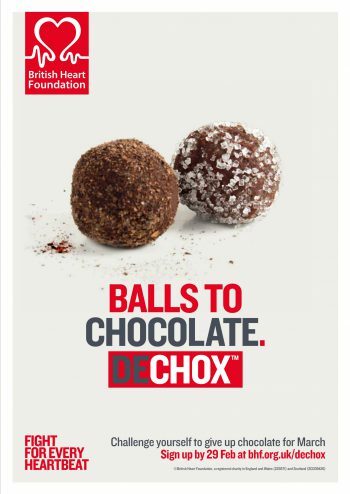 BHF provided some initial insight around willingness to participate in abstinence-based fundraisers. 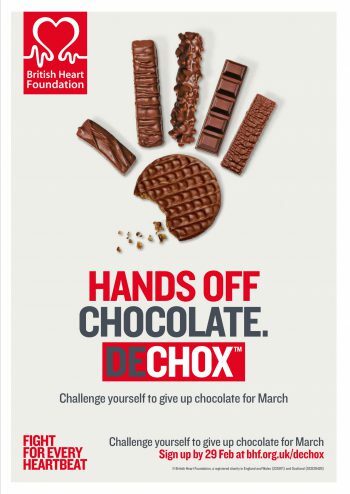 They needed the campaign to target a primarily female audience aged 25 plus, helping to recruit new supporters and increase the charity’s younger supporter base. 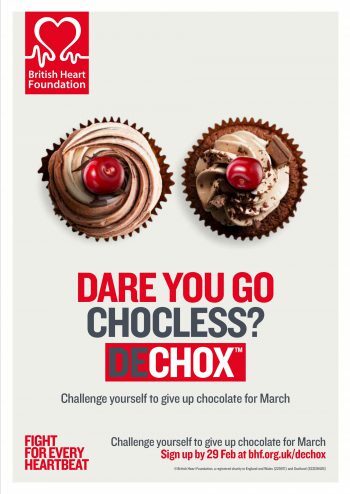 The idea needed to be fun, engaging and full of ways to raise money for British Heart Foundation. 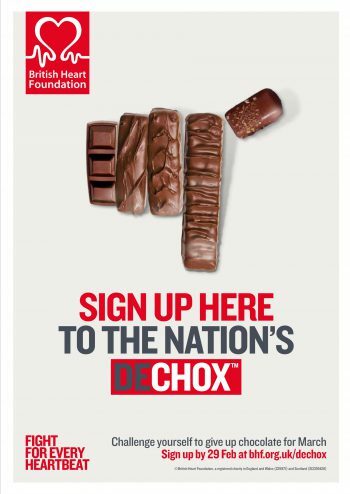 We created DECHOX – a sponsored challenge to give up chocolate for March. Killer devised the marketing and media strategy, developed the campaign name and identity, and produced all of the collateral required for launch and stewardship. 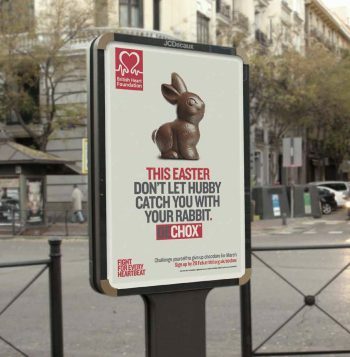 The visuals needed to be amusing, eye-catching, relevant and unique – tapping into the audience’s sense of humour and encouraging sign-up. 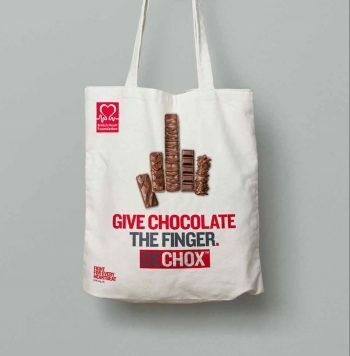 We organised and managed the photo shoot, with imagery focused on the theme of ‘secret’ eating – the idea that people sometimes scoff a sneaky chocolate bar when no-one’s looking. We wanted the audience to relate to the women in the photos – empathising with them and recognising their guilty faces! 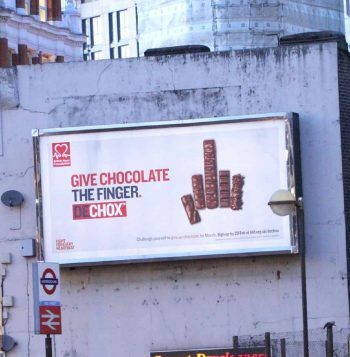 We also ran our ‘Give Chocolate the Finger’ ad alongside the image-based campaign, to see which visuals would appeal most to the audience. 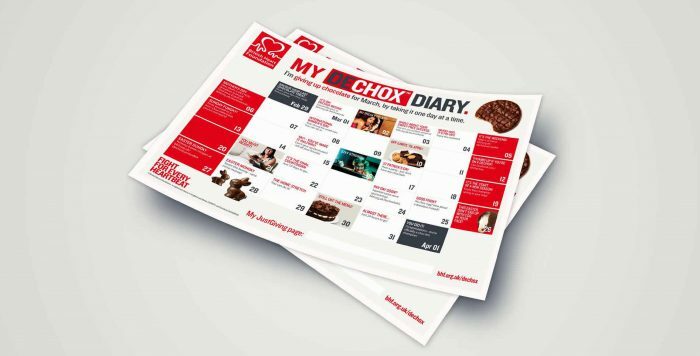 As part of our off-line advertising plan, we produced a 48 sheet, 6 sheets, washroom ads, press and radio ads, plus flyers and merchandise. 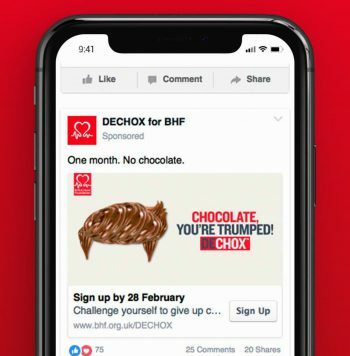 We also developed a comprehensive microsite with a smooth sign-up process linked to the BHF database, and using Just Giving API to quickly create participant fundraising pages. In the digital space, we created Google Display Ads, Facebook ads and a funny spoof cop film for YouTube. 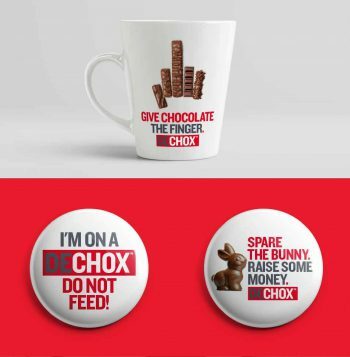 We also created the campaign Facebook page, which we managed for the duration of the year one campaign. 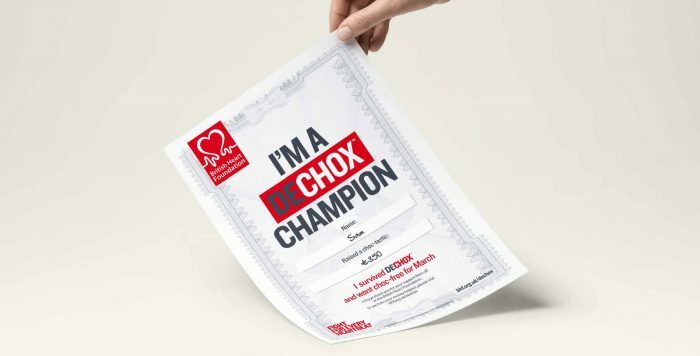 Other digital assets included a whole bunch of collateral for participants to use online – from social badges to posters, sponsorship forms, desk signs for the office and certificates. Year 1: Over 19,000 sign-ups, 89% were new supporters. £720,000 raised, more than double the target. Year 2: Nearly 20,000 sign-ups. 60% repeat participation. 212,207 website hits, 6% increase in web conversions. £850,000 raised. Year 3: Increased average gift by 10%, with 48% remittance rate. 92% new participants. Over £1,000,000 raised.